Every year during harvest the SCW hosts Sonoma County Grape Camp, the ultimate Wine & Food Experience in the heart of Sonoma County. 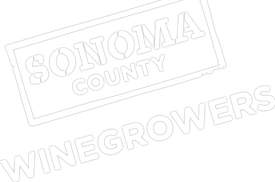 Consumers come from all over the United States and Canada to immerse themselves in all Sonoma County has to offer. Grape Campers experience the behind the scenes of harvest and learn – grape to glass – what it takes to produce world class wines. Click here to read the full coverage and view photos!